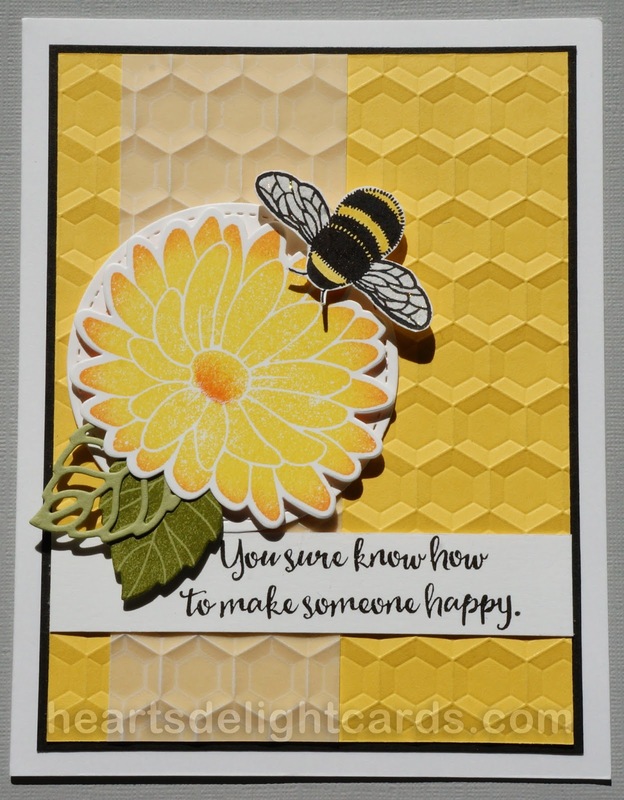 Heart's Delight Cards: Bee Happy! 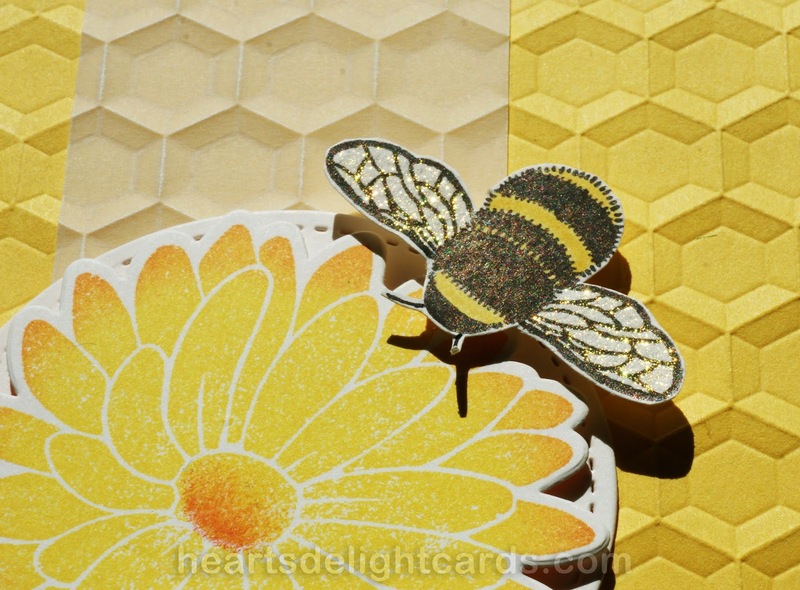 I wanted to use the hexagon embossed piece in the bits box, and as I was going through it, I found a piece of vellum that was also embossed. I think it helped tone down all that yellow, and added some visual interest, to boot! The flower, leaves, and Stitched Shapes circle were in the box, as well, so all I had to stamp was the bee and the greeting strip. 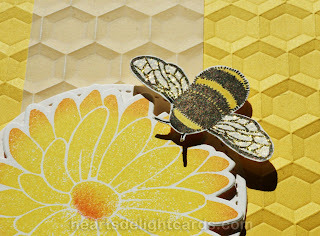 I used a SOB (Some Other Brand) glitter brush on the bee's wings. I like the CTMH gold glitter brush much better than the Gold Wink of Stella. I know we don't sell it, but I'm just giving my honest opinion here. I will always be honest with you about products I use and recommend!